The Ear pads will fit Sennheiser models:HD650, HD600, HD660-S, HD580,HD580 Jubilee,HD565, HD565-II, HD545, HD545-II. 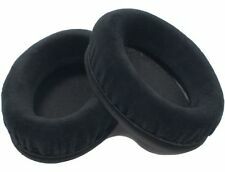 The Earpads are manufactured in soft velour quality with a foam core. Includes also the inner foam discs that cover the drivers(part 049789). Dyson Audio Sennheiser HD565 HD580 HD600 HD650 HD6XX HD660 S 4-pin XLR Balanced Headphone Cable 3M. -Silver plated 4-pin XLR. -Modified to balanced. Sennheiser hd580 headphones, Serial number We are located in Japan. Length: 5 ft. Connection Heat Shrink: Black. (1) 4-Pin Balanced XLR headphone cable for SennheiserHD650 /HD600 /HD580 /HD6XX / HD 660 S. Cable Material: Sennheiser HD650 headphone cable. Perfect for use with any balanced headphone amp with a 4 Pin XLR output. (1) 4-Pin Balanced XLR headphone cable for Sennheiser HD 660 S, HD 650, HD 600, HD 580, HD 6XX. Perfect for use with any balanced headphone amp with a 4 Pin XLR output. 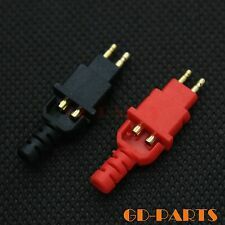 (1) 4-Pin XLR female to 1/4" Male Stereo Plug Adapter. SENNHEISER 4-Pin XLR Balanced Cable for HD-6XX, HD-580, HD-600 + ADAPTER / 10ft. Cable Material: Sennheiser HD650 headphone cable. (1) 4-Pin Balanced XLR headphone cable for Sennheiser HD-650, HD-600, HD-580, HD-6XX, HD-660 S. Perfect for use with any balanced headphone amp with a 4 Pin XLR output. Sennheiser HD545 HD565 HD580 HD600 HD650. Easy to replace ear pads. 1 pair ear pads. This is our SOP, for us to be certain and for record purposes. We might require you to send us photo/s of the item received and also your original item so we can compare and conduct necessary actions. Cable Material: Sennheiser HD650 headphone cable. 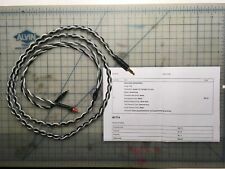 (1) 4-Pin Balanced XLR headphone cable for SennheiserHD650 /HD600 /HD580 /HD6XX /HD 660 S. Perfect for use with any balanced headphone amp with a 4 Pin XLR output. Dyson Audio Gotham Shotgun Sennheiser HD565 HD580 HD600 HD650 HD6XX HD660 S 4-pin XLR Balanced Cable 2.44M. -Silver plated 4-pin XLR. Custom lengths available. -Heavy duty. Model number: 50635. Sennheiser genuine spare parts. Compatible models: HD 545 / 565 / 580 / 600 / 650. 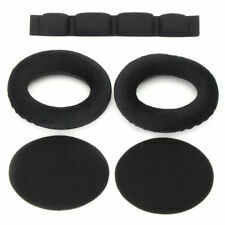 Earpads Foam Pad Headband Soundproof Cotton For Sennheiser HD545 HD565 HD580 HD600 HD650 Headphone. Suitable For: For Sennheiser HD545 HD565 HD580 HD600 HD650. 1pair x Earpads. 1pair x Soundproof Cotton(In the Earpads ). These Dekoni headphone earpads are made for Sennheiser's HD600 and HD580 Headphones. Made of the softest lambskin leather, you won’t find a more comfortable ear pad from anyone else. New Gear: If you’re not satisfied, neither are we. Whether it is Senhai official or enthusiast, it is recognized that Lehman LEHMANN is the best match of Sennheiser high-end headphones, and is regarded as the Rolls Royce in the amp. Sennheiser Sennheiser HD580/HD600/HD650 is applicable. 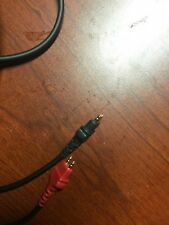 SENNHEISER HD6XX LINE BALANCED CABLE. Sennheiser HD414 HD420 HD430 HD525 HD545 HD565 HD650 HD600 HD580 Headphone. jack : 3.5mm Male to the jack for Sennheiser HD414 HD420 HD430 HD650 HD600 HD580 headphones. Sennheiser HD414 HD420 HD430 HD525 HD545 HD565 HD650 HD600 HD580 Headphone. Features: 100% brand new and good quality. Easy Installation. Custom-Made(No Original). Compatible with: Sennheiser HD545 HD565 HD600 HD580 HD650 Headphone. 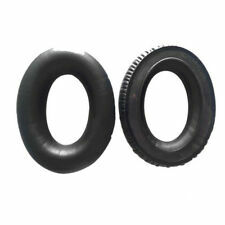 Material:Softer Foam Inner and Fabric Surface. Colour: black. Size:about 18.4cm/7.24in x 2.3cm/0.91in x 1.5cm/0.59in. 1 x Geekria Warranty. This product is sold exclusively byGeekriaDirect. - Sennheiser HD 545, HD 565, HD 580, HD 600, HD650. The product is NOT made by the Sennheiser Inc. Use a soft velvet material, it is more comfortable. 1 piece of Headphone Case ( Headphone Not Included ). Weight: 315g. Features: 100% brand new and good quality. High elasticity, durable and soft. Easy Installation. Custom-Made(No Original). The ear foam will enhance the bass performance of your headphone. More comfortable for your ears. Specially designed for Sennheiser HD545 HD565 HD580 HD600 HD650 headphone. Material: Soft foam and Velour. color: Black. Earpad size: External dimension, about 10.6cm/4.17in x 8.1cm/3.19in x 2.7cm/1.06in; inner dimension, about 6.0cm/2.36in x 4.0cm/1.57in. Inside Foam size: about 10.5cm/4.13in x 8.0cm/3.15in. Headband Size:about 18.4cm/7.24in x 2.3cm/0.91in x 1.5cm/0.59in. Package List:. Specially designed for Sennheiser HD545 HD580 headphone. Headband Size: about 18.4 x 2.3 x 1.5cm. 1 pc x Headband. 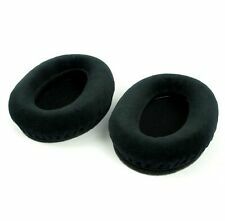 1 pair x Inside Foam Pads (ear cup). 1 pair x Ear Pads. Made of soft foam and velour, which makes your wearing cozy and comfortable. Compatible with: Sennheiser HD545 HD565 HD580 HD600 HD650 HD265 Headphones. Make your headphones look always new. Colour: Black. Soft leather, comfortable to wear, slow rebound, fit the ears. Features: 100% brand new and good quality. Compatible for Sennheiser HD545 HD565 HD580 HD600 HD650 Headphone. Designed to enhance the fidelity of your audio by cushioning the vibrations between your ear and the headset, providing more vibrant sounds. Made of high quality soft foam ,makes you wear more comfortable. Idea for replacement if you lost or broken or dirty your ear cushions. High elasticity, durable and soft. Easy Installation. Made of top quality Velour and memory foam. For sennheiser HD545 HD565 HD580 HD600 HD650 headset Color:Black. 1 Pair of ear pads. 2pieces of tone foam. Compatible with: Sennheiser HD545 HD565 HD580 HD600 HD650 HD265 Headphones. Make your headphones look always new. Color: Black. Soft leather, comfortable to wear, slow rebound, fit the ears. Compatible For Sennheiser HD545 HD565 HD580 HD600 HD650 Headphone. Compatible With: For Sennheiser HD545 HD565 HD580 HD600 HD650. Headband Size: About 18.4 x 2.3 x 1.5cm. Made of high quality soft foam ,makes you wear more comfortable. Sennheiser HD 650, HD 600, HD 265, HD 525, HD 535, HD 545, HD 565, HD 565 II, HD 580. HEADPHONE UPGRADE PLUG. Rate (item arrived). Canada Rate (item arrived) 0.0% 47. 1% 31.4% 17.6% 3.9%.